Perfect for weddings, engagement parties, and much more! 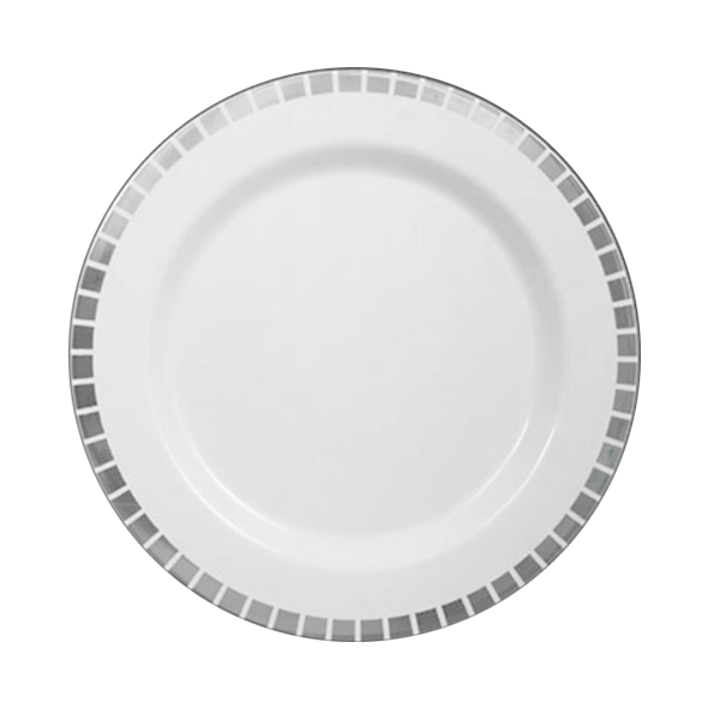 Delight dinner guests at your next event with our Slit Design plates. Made of premium plastic, each plate combines the convenience of a disposable with the stunning appearance of real china. Each plate features elegant metallic accents that are certain to enhance any table setting. Perfect for weddings, engagement parties, and other elegant events.